You know it, You have tried it. You have tried to completely control all the external circumstances around you and all you are left with, is a feeling of powerlessness. You have tried to make your family see you more clearly. You have tried to get your staff members to read your mind. You have tried all the techniques and strategies to influence them and still, the result you want is just out of reach. The definition of madness is doing the same thing over and over whilst expecting a different result; you know it and yet you keep doing it. A new technique is necessary, a new way is essential. 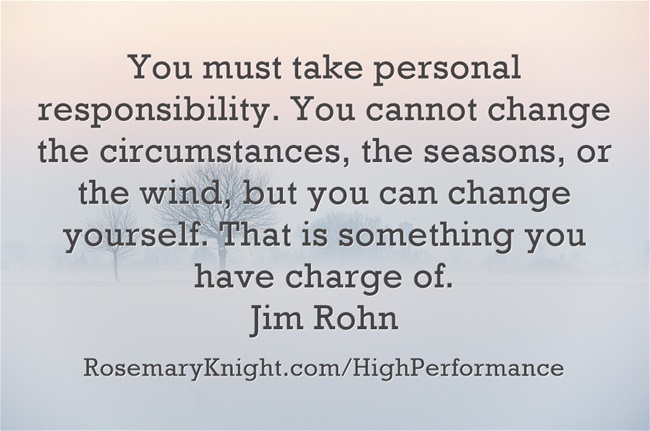 Are you ready to take responsibility, total personal responsibility for your own happiness? No more blaming anyone or anything. The truth is within you, if you will stop long enough to pay attention. Authentic Success is within your grasp. Are you ready to receive it?